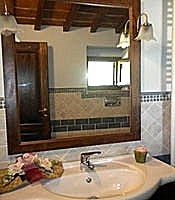 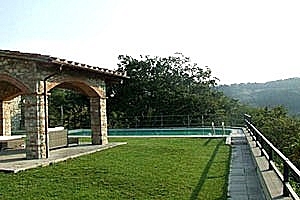 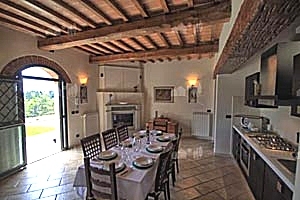 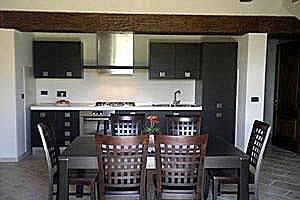 Villa sleeping 8+2 guests situated in panoramic position on the hills between Florence and Prato, in Calenzano. 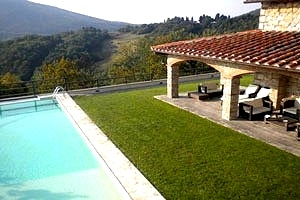 Garden, swimming pool, air conditioning, Internet connection, slide and swing. 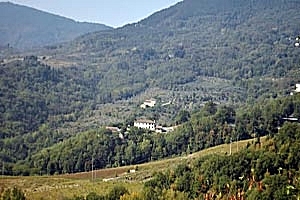 The hills covered with woods and the valley below: that is the wonderful panorama the windows and the garden of the villa situated between Florence and Prato, in the municipality of Calenzano, open onto. 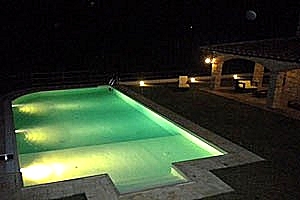 The private swimming pool (14x7 m; depth: 1.50 m) is exclusively reserved to guests. 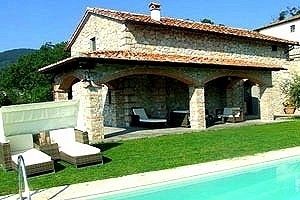 Next to the swimming pool is a porch furnished with armchairs and sun loungers. 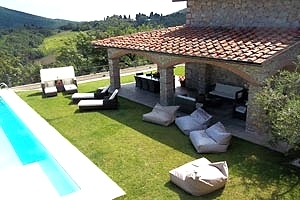 In the garden that surrounds the stone building are also a slide, a swing, the barbecue equipment and a table for guests to have meals al fresco. 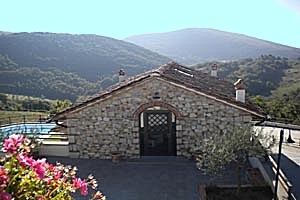 Self-catering property; no hotel services provided. 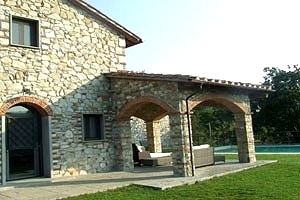 The two-storey villa can accommodate 8+2 guests in 2 twin bedroom, 2 double bedrooms and 2 supplementary single beds; it has 4 bathrooms. 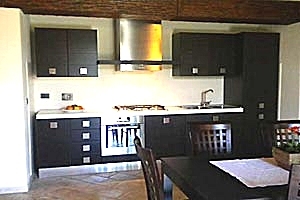 The ground floor composes of kitchen with fireplace, a twin bedroom and a bathroom with shower. 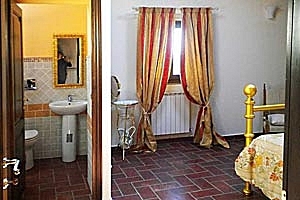 On the first floor are a twin bedroom with ensuite bathroom with bathtub and shower and two double bedrooms with ensuite bathroom with shower. 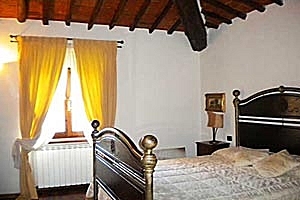 Two supplementary single beds are available upon request. 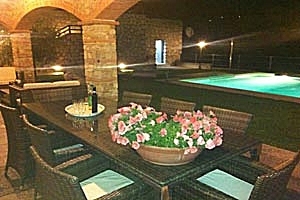 The villa comes with swimming pool, barbecue, swing, slide, working fireplace, air conditioning, satellite TV, Internet connection, oven, microwave oven, food processor, dishwasher, washing machine, cot bed and private car parking space. 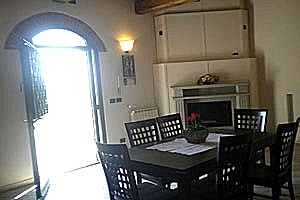 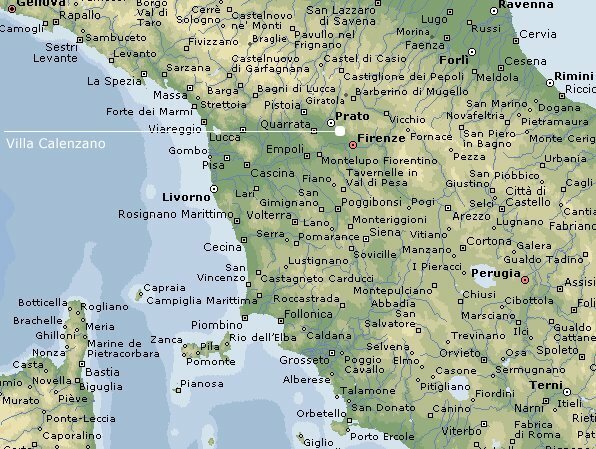 A restaurant, a pizzeria, a food shop and an ice-cream parlour are 2 kilometres from the villa. 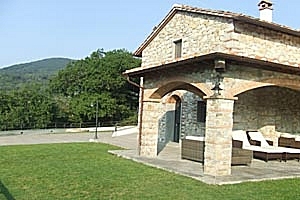 Other shops and services are in Barberino di Mugello (8 km). 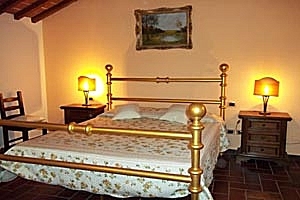 A golf club is 20 kilometres from the villa.